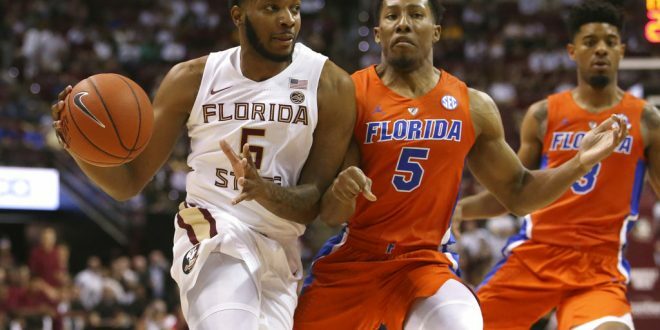 The Florida State Seminole men’s basketball team defeated the Florida Gators 81-60, the fifth straight time the Seminoles have beaten the Gators. PJ Savoy led the Seminoles with 20 points, while Trent Forrest added 13 points and five assists. Deaundrae Ballard paced the Gators with 13 points on 5 of 9 shooting. An 11-point halftime lead for the Seminoles quickly turned to 21 less than five minutes into the second half. The Seminoles continued to dominate on both sides of the ball and stretched their lead to 35 before securing the 21-point victory. The Gators really struggled to put the ball through the basket. In the first half, they scored 20 points on 6 of 25 (24%) shooting, including 4 of 15 (26.7%) from beyond the arc. Overall, the Gators shot 20 of 54 (37.0%) from the field and 6 of 24 (25%) from three. They also missed seven free throws. Even these final numbers are padded because Florida State stopped playing aggressive defense towards the end of the game and gave Florida a few easy transition buckets. 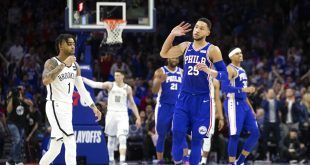 To make things worse, their three leading scorers from last year combined to finish with 17 points on 5 of 20 shooting. Where is Keith Stone and KeVaughn Allen? With the departure of Egor Koulechov and Chris Chiozza, Stone and Allen were supposed to help shoulder the scoring load with Jalen Hudson. However, neither of them showed up in their season opener. Both completely lacked aggression and struggled to get anything going offensively. Allen didn’t score a single point while only taking four shots. Stone finished with six points on 2 of 6 shooting. If the Gators plan on staying competitive at the top of the SEC, Stone and Allen need to show up on a nightly basis. This could be Leonard Hamilton’s deepest team since he arrived in Tallahassee in 2002. Terance Mann is a legitimate first team All-ACC candidate. PJ Savoy, Trent Forrest, and MJ Walker are all experienced guards with size who can score and defend at a high level. Christ Koumadje is very difficult to handle inside at 7’4″. On top of this talent, the Seminoles are missing their leading scorer from last year in Phil Cofer. When Cofer gets back from his foot injury, the Seminoles can compete with just about any team in the country. Do we need any more proof that Florida State is underrated? Noles pound Florida by 21 tonight without Phil Cofer. Game wasn't even that close. Mike White has never had the depth or the type of athletes to deploy full-court defensive pressure. He finally has a roster full of versatile athletes and wasn’t hesitant to show it. The Gators consistently pressured the Seminoles off of made baskets and extended their half-court defense beyond the three-point line. They forced 16 Florida State turnovers and limited them to 31 first-half points. Maybe the Gators were rattled because they were playing a ranked team on the road. Maybe they just weren’t prepared for a difficult season opener against Florida State’s high-tempo defense. Whatever the reason was, it doesn’t take away from the fact that the Gators could not take care of the ball. They had eight turnovers in each half and were clearly rattled by Florida State’s defensive pressure. On top of the high turnover rate, the Seminoles forced the Gators to take numerous highly-contested shots late in the shot-clock. The Gators open up their home schedule on Friday night against Charleston Southern at 7:00 p.m.